Capturing the innocence of childhood, giving comfort and appearing unintimidating was how we approached the rebranding and packaging design for this range of kids’ blankets. In creating the new brand mark, we wanted to evoke the warm memories of childhood in a picture book way with clarity and familiarity. The delightful illustration was created by Jo Ley who captured the essence of both baby and toddler. The packaging design needed to be practical for ease of assembly and high interaction. 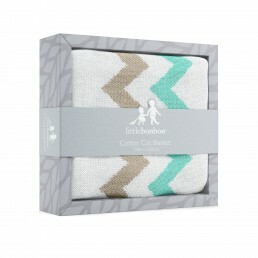 We designed the box to have a generic base using a simple repeat pattern, denoting the weave of the blankets, with individual sleeves to detail the various products. We opted for a gender neutral colour that would work with multiple coloured products. The die-cut sleeve gives the packaging the effect of a ribbon—perfect for this product which is largely given as a gift. The open area allows consumers to touch the product without opening and disrupting the packs in store.